the invader ballet. i hope like it XDDD zims wearing tights!!!. HD Wallpaper and background images in the इनवेडर ज़िम club tagged: zim and tak. i hope like it XDDD zims wearing tights!!! invader zim गिर gaz anddib as puppies!!!!!!!!!!!!!! no you didn't this is amazing! Wow this is good im not really a zatr fan but i love your drawings!!! wish I could draw like you, you're amazing! 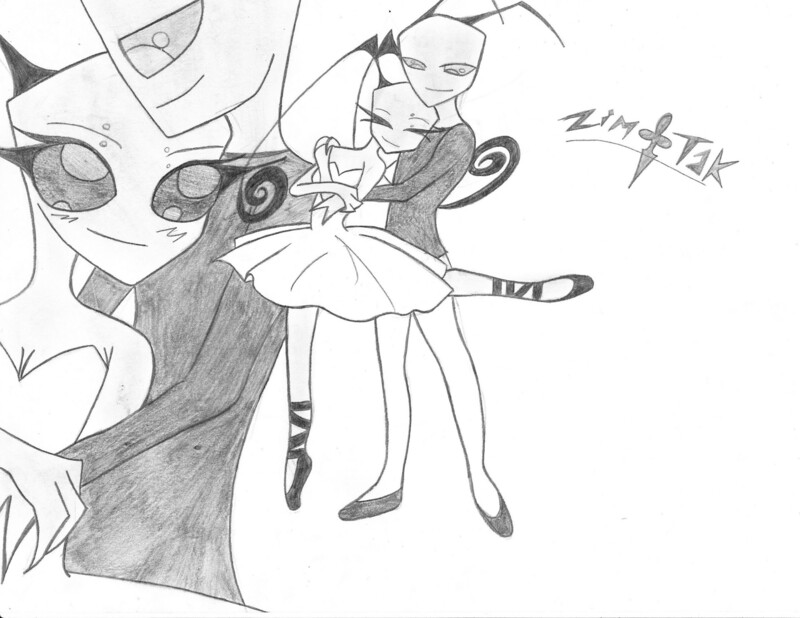 Hey lkuto_is_hot021,I drew a few pictures of Zim and Tak seperatly but I don`t know how to post them on here if I drew them in real life and these pictures are really good!